Horsted Place is an AA red star hotel and has 2 AA rosettes for its outstanding restaurant. 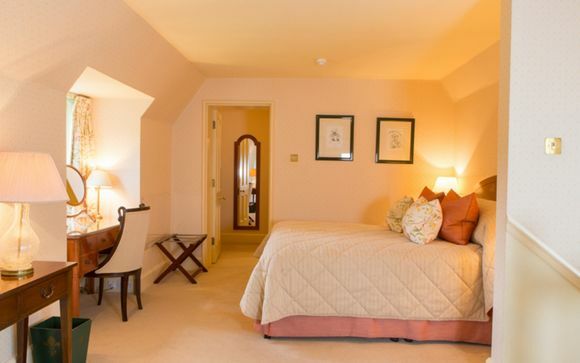 Horsted Place is the perfect location to escape, relax and recharge. Perfectly positioned in the Low Weald of Sussex, you are well placed to explore the surrounding countryside. This part of Sussex offers a number of quaint activities - take a stroll antique hunting in the pretty county town of Lewes, visit the local spa, or some of the local pubs and restaurants. Golfers are in for a treat as the hotel overlooks the sprawling greens of the 18 hole East Sussex National championship courses. 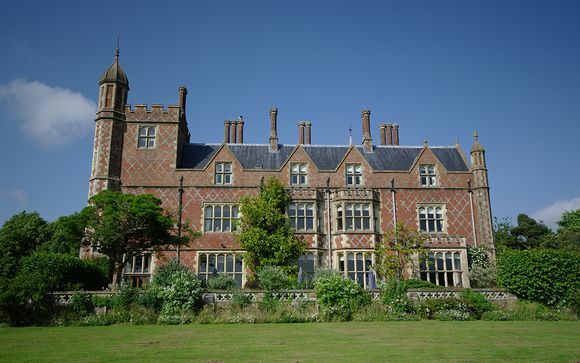 There are also a range of cultural events throughout the year, including the Glyndebourne Touring Opera during 14th October to 4th November, so there is always something to do when staying in this area. The Victorian Era's Gothic revival was a time of intricate carvings, ornate designs & sweeping archways, and this impressive building is no different. This striking Victorian Gothic Mansion was built in 1850 by George Myers, a master builder behind the likes of Southwark Cathedral, and designed by Agustus Pugin, widely regarded as England's most influential early Victorian Architect. This hotel has been lovingly restored by the current owners to its original grandeur, while a leading 20th Century landscape architect, Sir Geoffrey Jellicoe, was commissioned to redesign the grounds so they could equal the regal interiors. Inside & out, this hotel is a delight to view & steeped in history, including a certain Myrtle tree grown from a sprig from Queen Victoria's wedding bouquet. Be transported to a bygone era as you drive up the private driveway, where you will be greeted by exceptional service & a relaxing ambience that echoes through its halls, its drawing room & sprawling grounds. Come dinner time, you will be amazed by the selection on offer at the award winning restaurant, and you are welcome to relax at the neighbouring Horsted Health Club, where guests of the hotel are given complimentary access. This offer is based on a Junior Suite. Your comfortable suite is individually designed and traditionally decorated with a firm emphasis on comfort and satisfaction. A range of amenities come together to complete your enjoyment, including , fluffy white towels, soft cushions and Egyptian cotton bed sheets, as well as flat screen HD televisions with the full range of Freeview and Sky Sports channels. All bathrooms are en suite and newly refitted. This offer is based on a bed and breakfast or a half board stay. (Breakfast and 3 course a la carte evening meal served in main restaurant - excludes drinks). The award restaurant is a warm and inviting space, free from pretension with a large amount of room and relaxing views. Come the evening, candlelight creates a romantic atmosphere which is perfect for a special meal with a loved one. The ever-changing menu offers striking dishes made with local, seasonal, produce. When staying at Horsted Place you are given complimentary use of the Horsted Health Club, at the nearby East Sussex National Golf Resort, just a short drive away, where you'll find superb wellness and leisure facilities such as a sauna, indoor swimming pool, a gym and more. Perfect for unwinding after a day of exploring the countryside. By Road: Horsted Place Hotel is located on the A26, 2 miles south of Uckfield. If you are following SatNav, please note that you may be taken past Horsted Place to Little Horsted Church. The Horsted Place drive entrance is on the opposite side of the road, about 300 yards in the Uckfield direction. Please note: you may be asked to provide a credit/debit card deposit on arrival to cover any purchases made in the hotel.